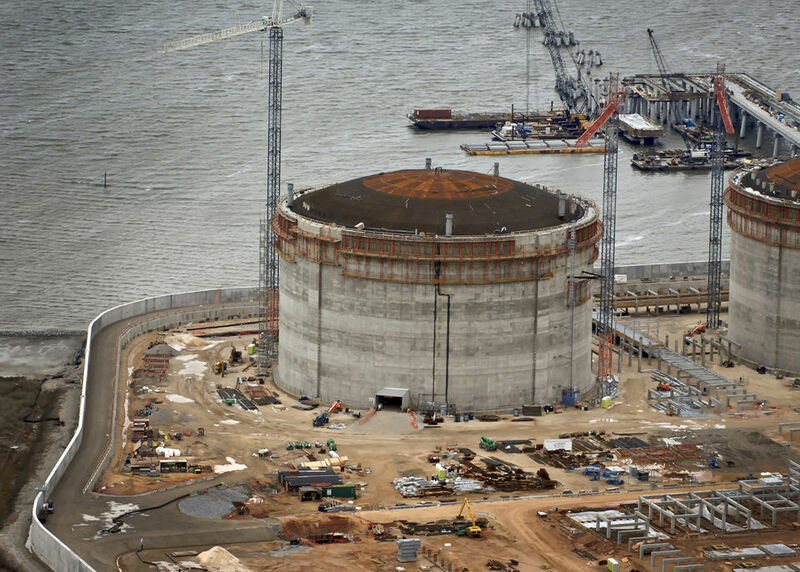 I was hired by a concrete company to take monthly progress aerial photos of this LNG site. 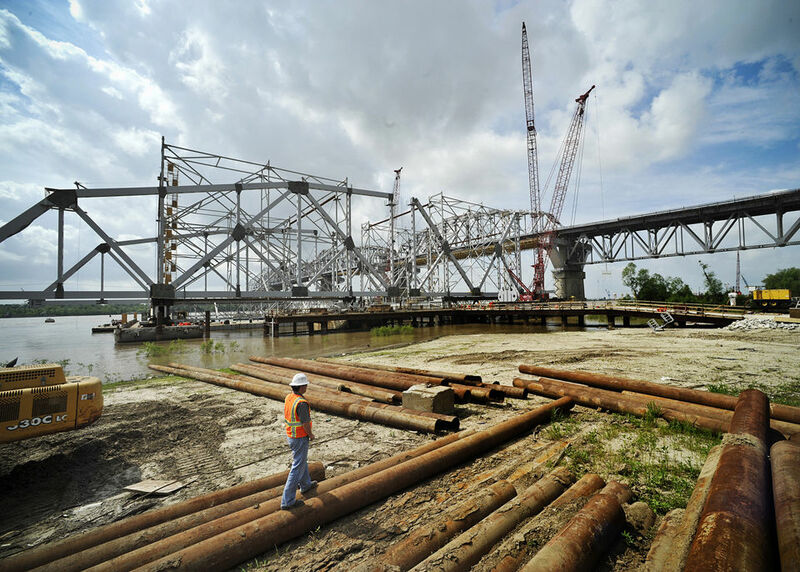 Helicopter aerial Progress construction photos - Huey P Long Bridge - New Orleans, LA. 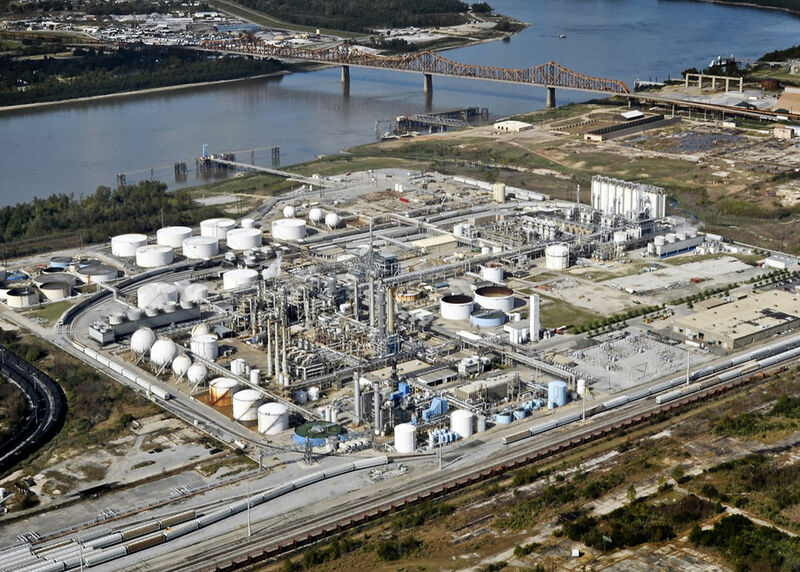 LPG Station - Pascagoula, MS - aerial photo. This is an example of an oblique photo, taken diagonally from the window of an airplane. 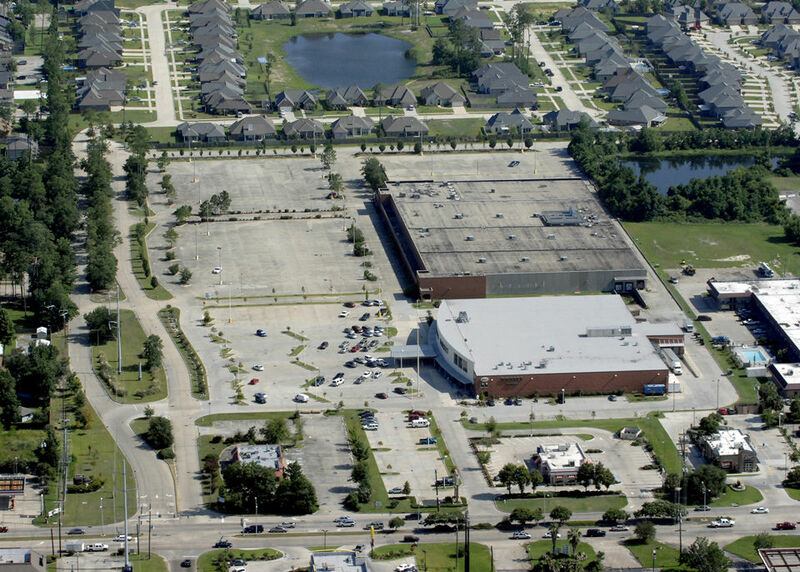 Shopping Mall - Slidell, Louisiana. 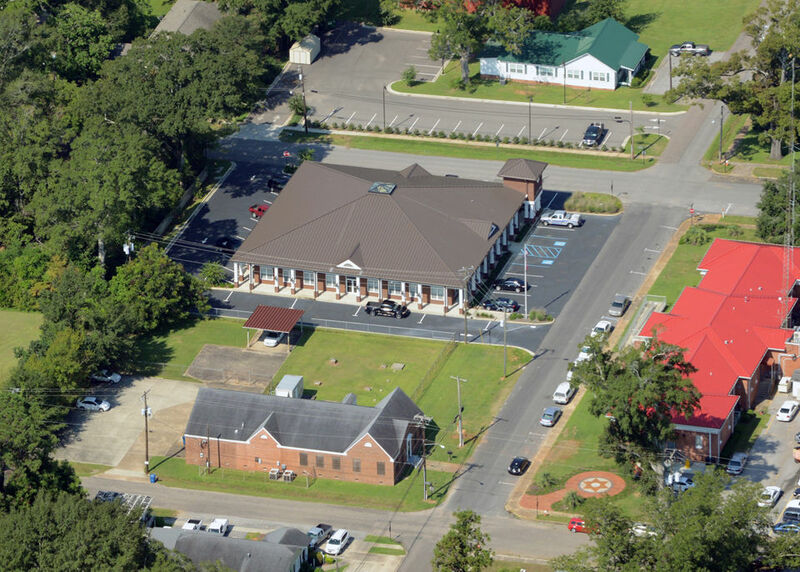 Commercial Property managers use aerial photos to demonstrate to national tenants the advantages of their site locations. Photo taken from an airplane window. 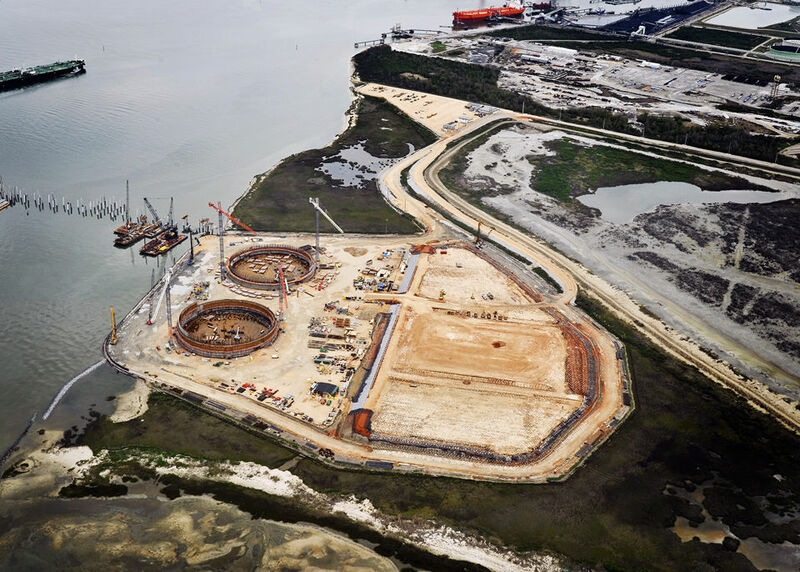 Construction progress aerial photo -Closing of the Mississippi Gulf Outlet - Mississippi River. 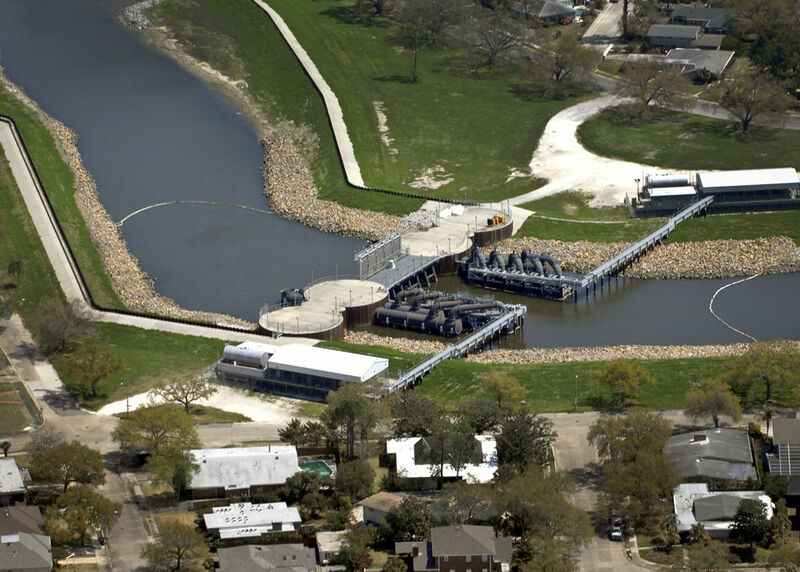 Chalmette, Louisiana. 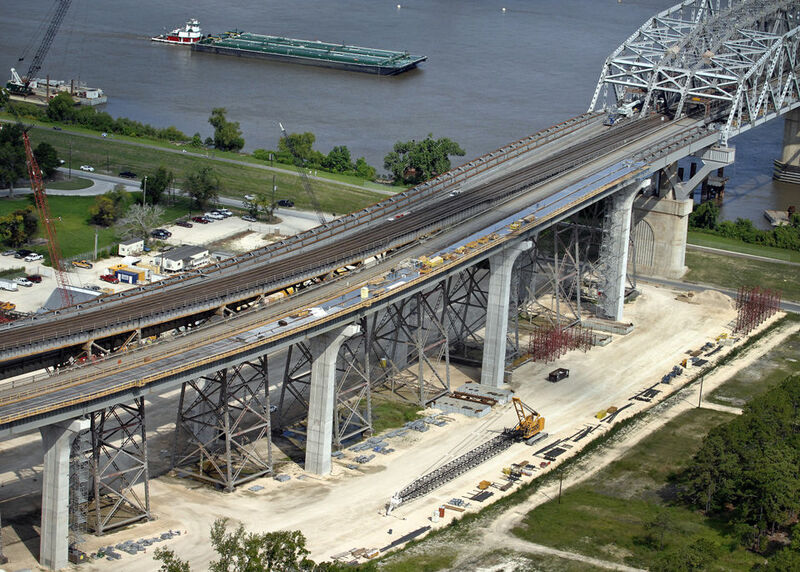 Helicopter aerial photography - Low level aerial view of the expansion of the Huey P. Long bridge - New Orleans, Louisiana. 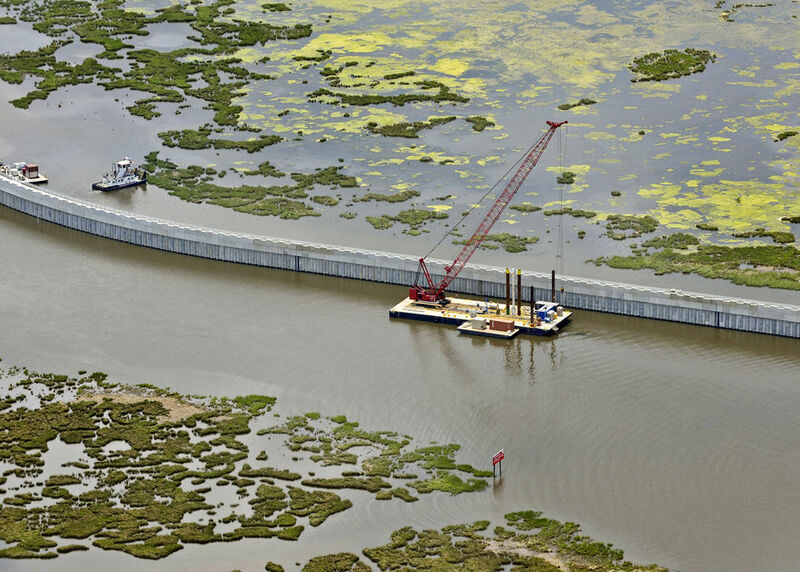 Aerial photo of construction on the New Orleans levee pump system. Airplane was a Cessna 182 rg, low flight aerial. 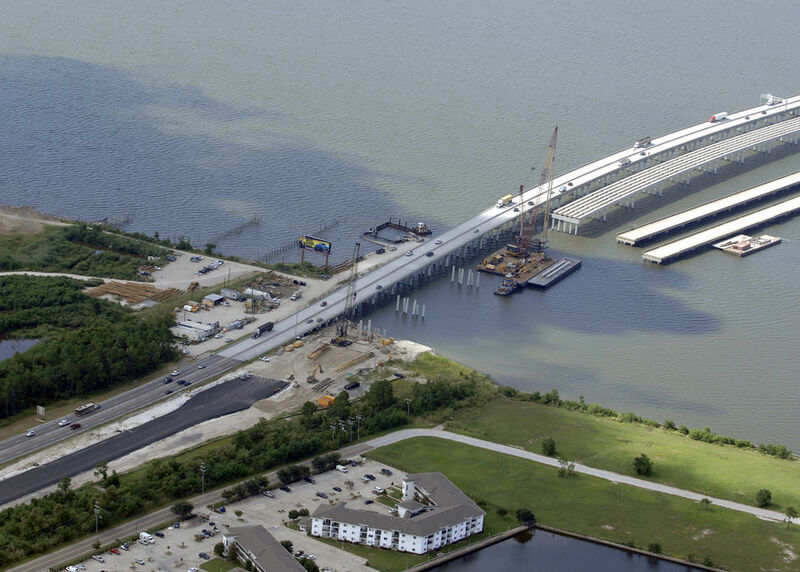 Aerial photography - Construction photo - the I-10 "Twinspan" between New Orleans and Slidell, Louisiana. Airplane photo taken out of window, at a diagonal. 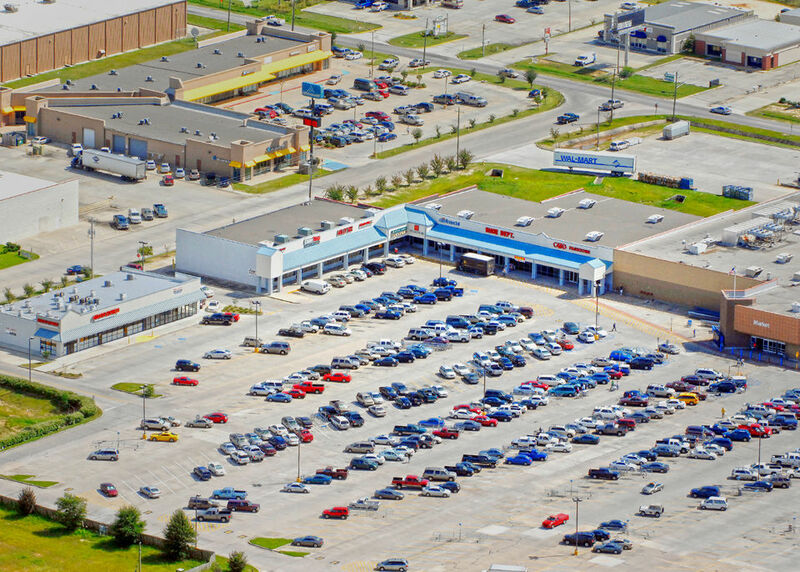 Walmart shopping center in Gulfport, Mississippi. Detail photo of side retailers. 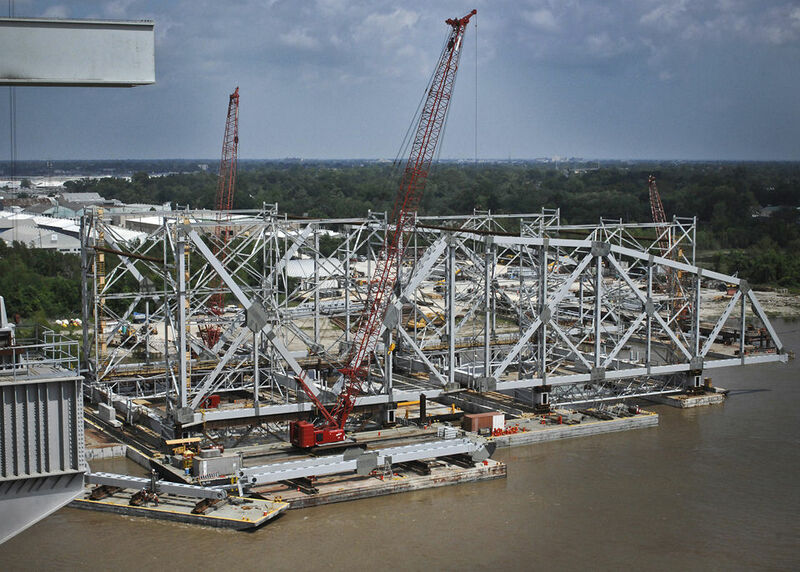 Airplane view of Huey P Long bridge construction. Low flight photo taken from a Cessna 182. 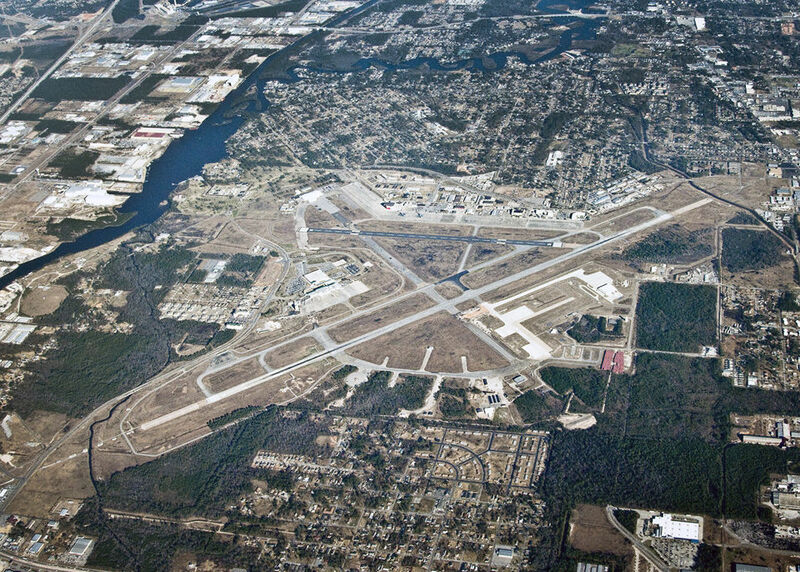 Aerial map photo of the Gulfport Biloxi International airport. This was shot from an airplane at 12,000 feet above the ground. I do not do aerial mapping on a large scale. Aerial photo taken at diagonal from window of Cessna 182. 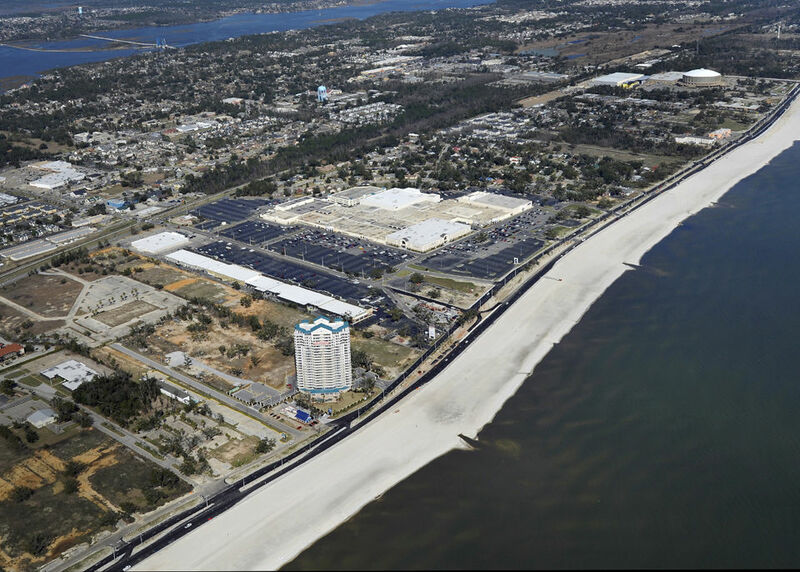 This is a photo of Gulfport beachfront showing commercial development. 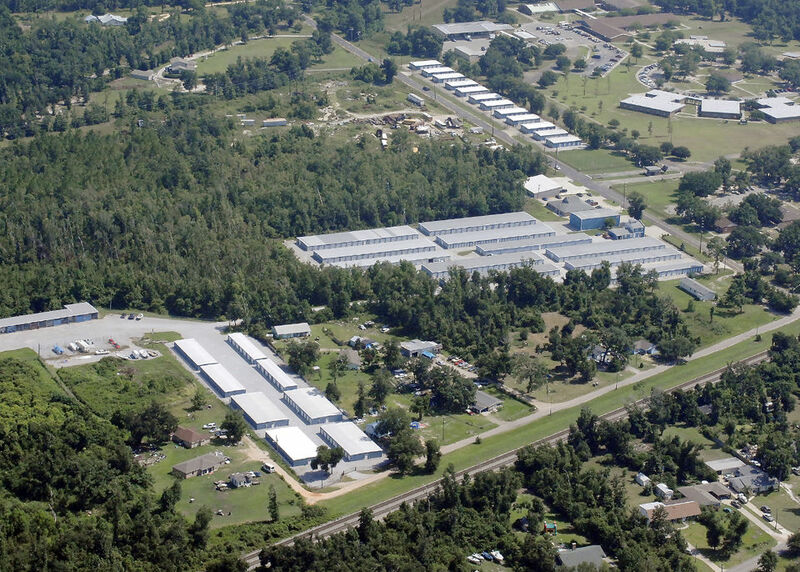 Aerial view of a mini storage complex in Long Beach, Mississippi. 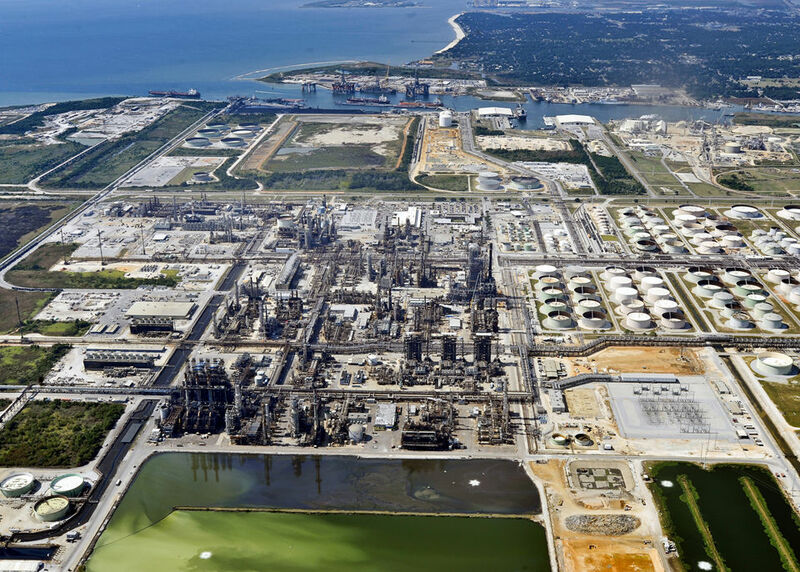 The only way to get a good aerial photo of a large oil refinery is with a manned aircraft. 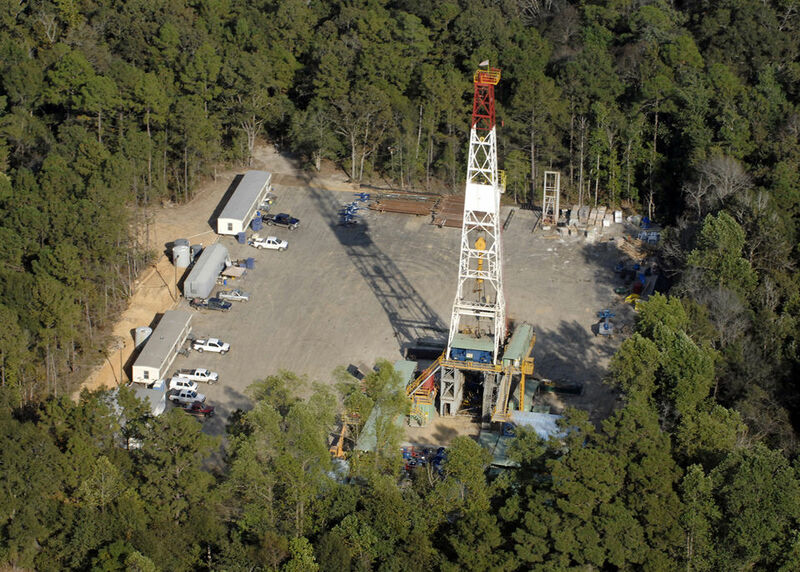 A drone cannot fly high enough, or obtain necessary approvals to fly over a controlled area such as this. Aerial photo taken out of window of manned aircraft. 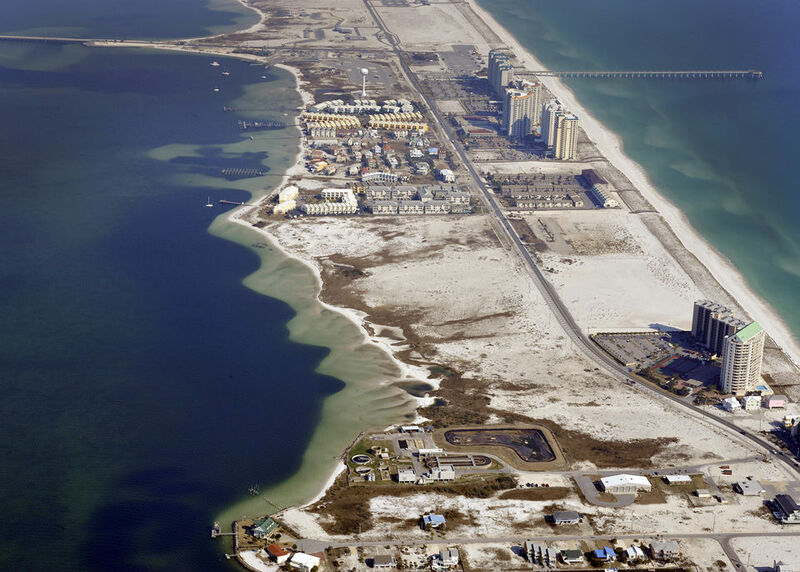 Florida beach development. The roofing contractor wanted good details to show off their workmanship. 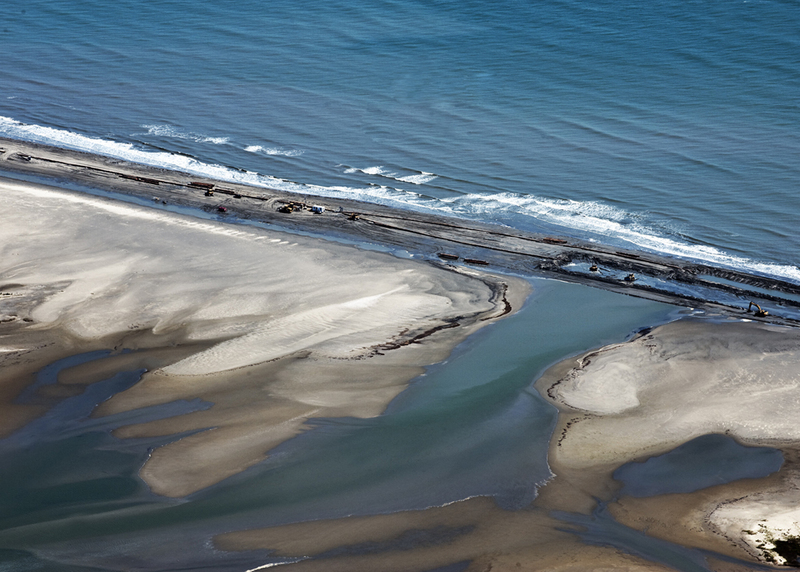 This aerial photo was taken from the window of a Cessna 182. Chandeleur Island is appx. 20 miles offshore in the Gulf of Mexico. 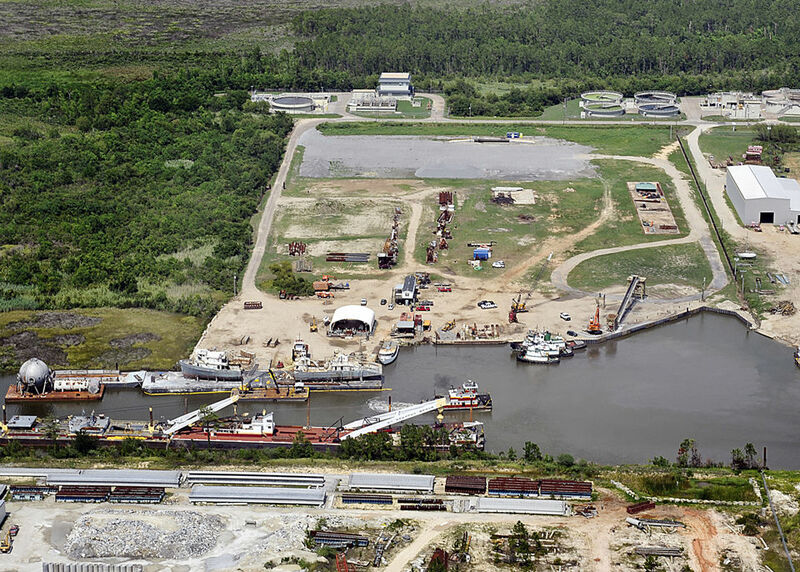 This photo details island reconstruction by the Corp of Engineeers. Taken from the window of a Cessna 182. 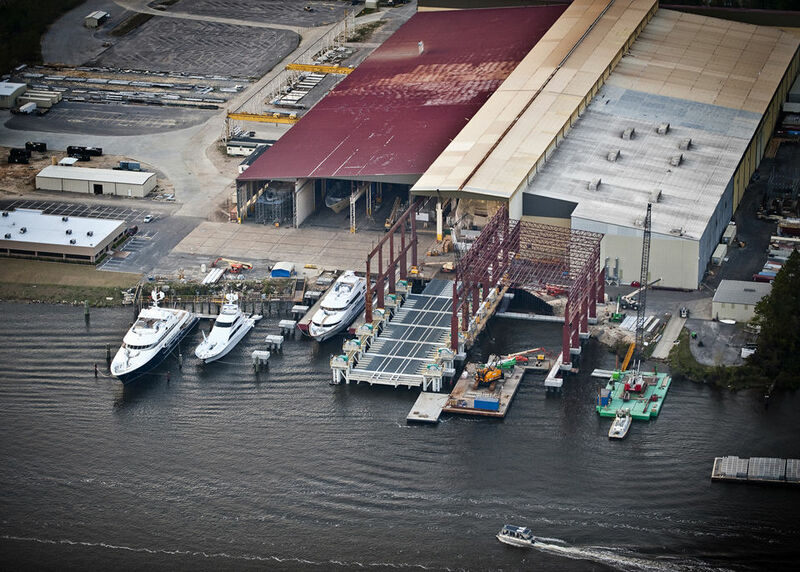 Aerial view of a working world-class shipyard. 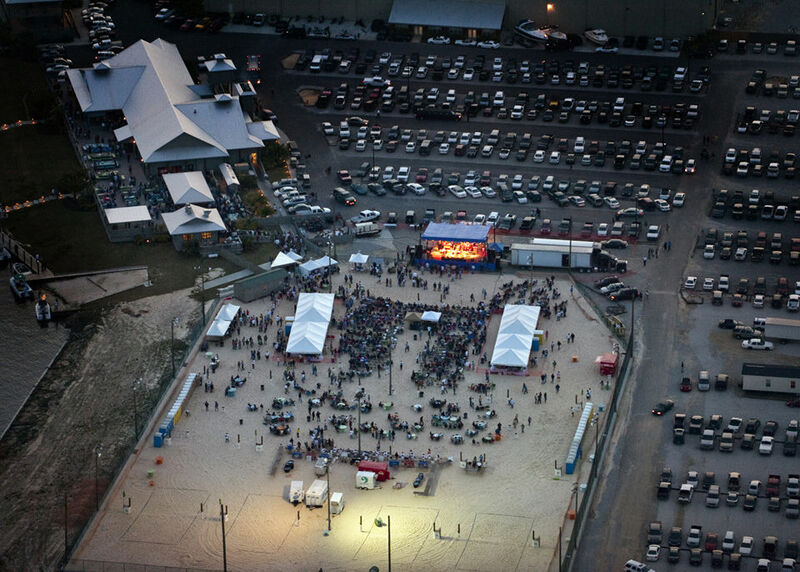 We flew the airplane at dusk until the sun had set just enough for the lights of the concert to pop. 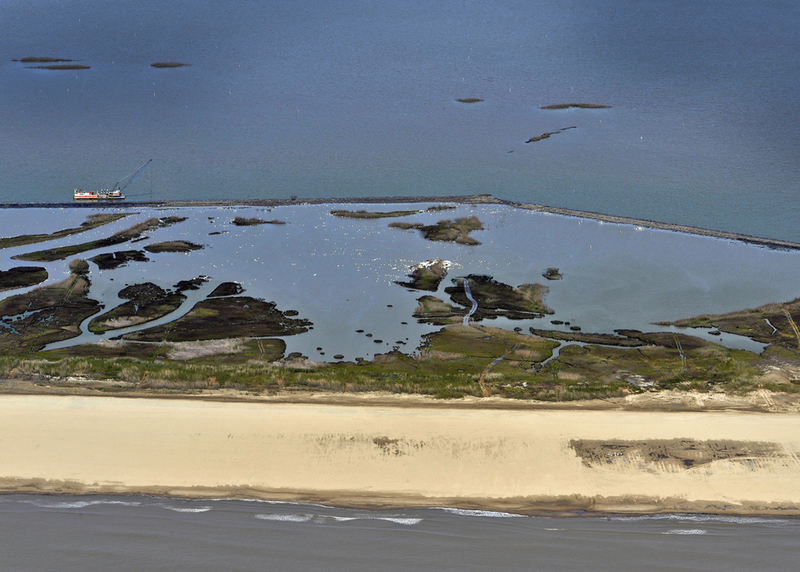 Aerial photo from a Cessna 172. We also provide ground photography services. 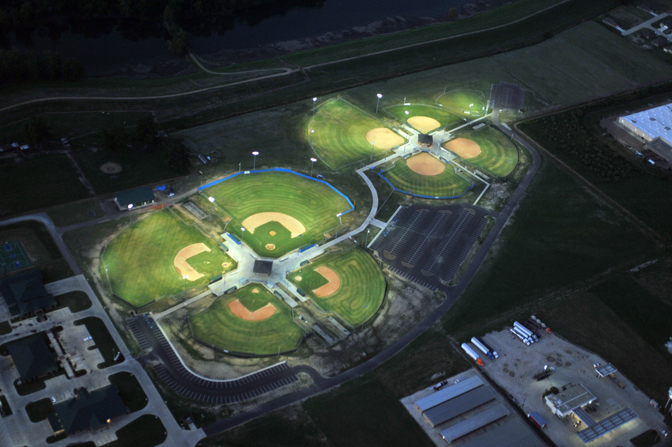 We provide aerial photography for almost any type of project. 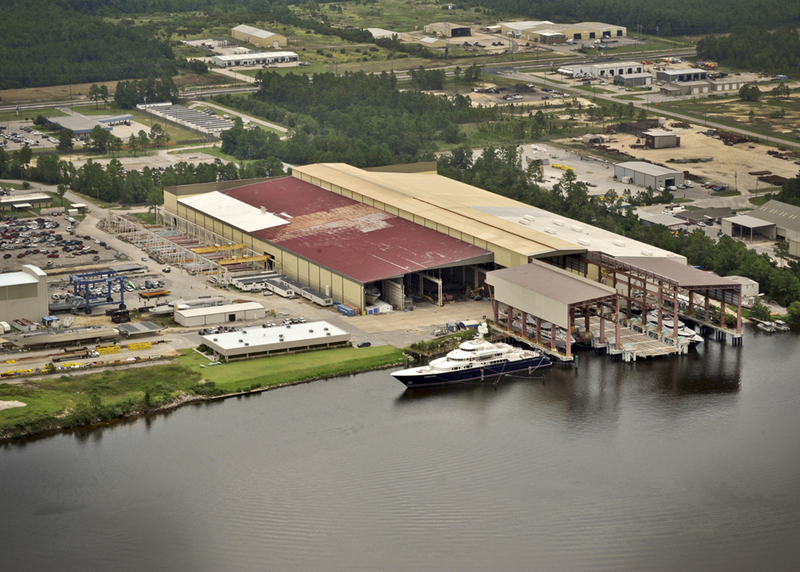 Since we are based in coastal Mississippi, many projects have waterfront nearby. 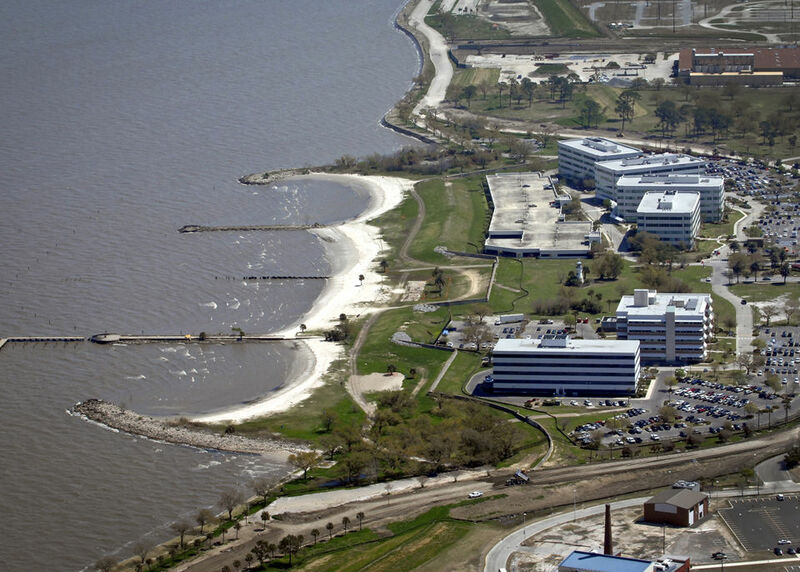 We were entrusted with aerial photography of this billion dollar Federal project. 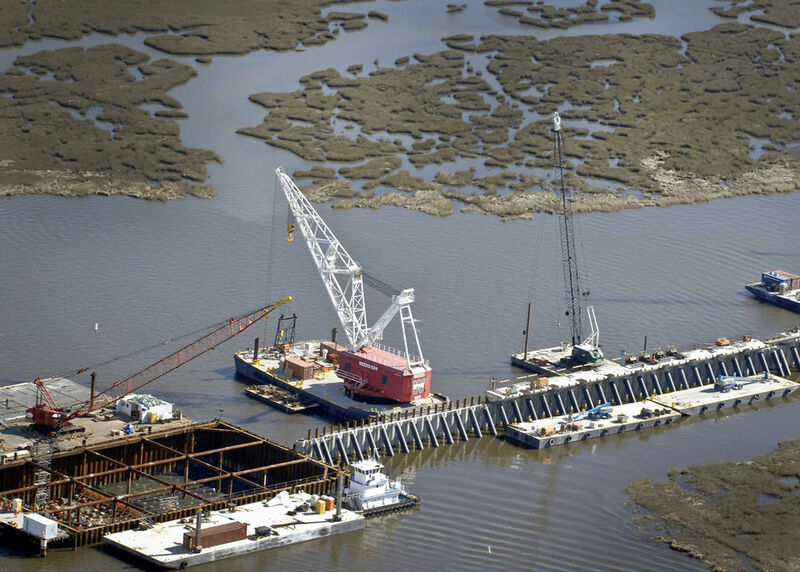 The contractor was building lockes and levees around the Mississippi Gulf Outlet. Our job was to take monthly progress photos of all the work, providing them and the government with enough details to clearly illustrate the work completed. 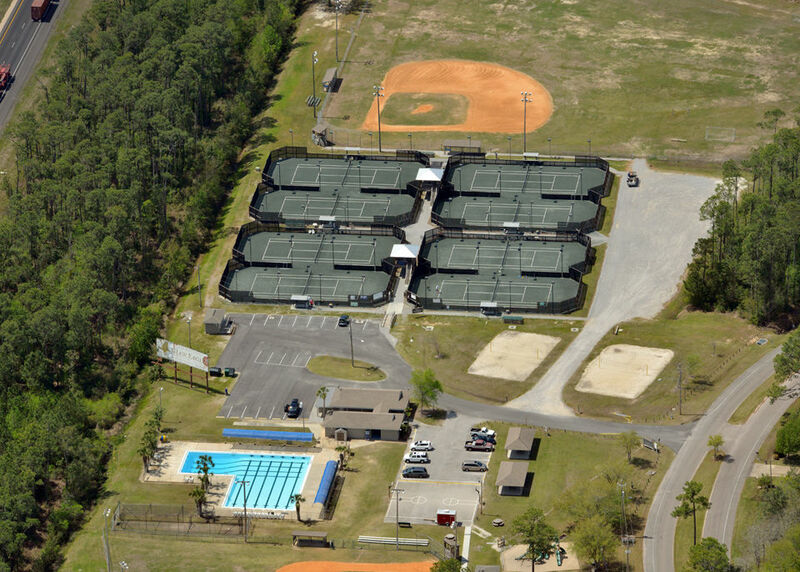 We also take photos from a helicopter view if needed. 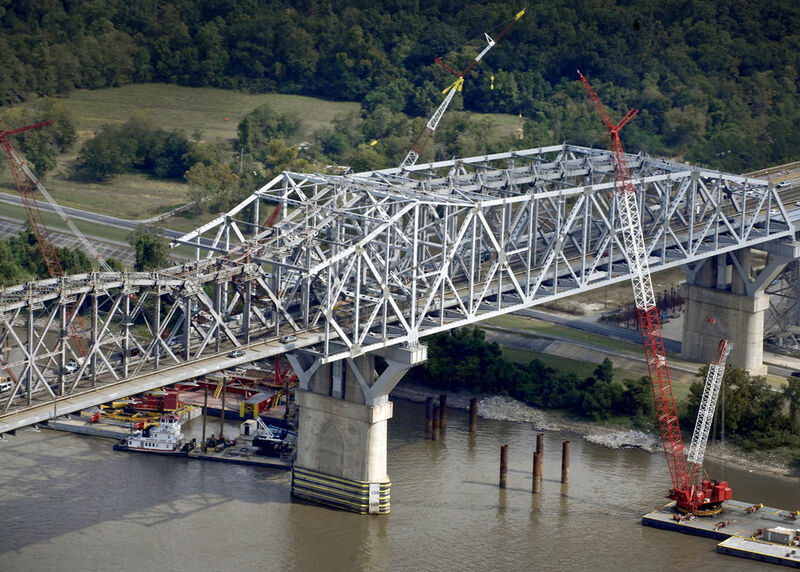 Our typical client for aerial photography is an industrial or government contractor, needing expert reliable services. Vertical down photography of a golf course. The client wanted a photo so they could produce a detailed diagram for their brochure. 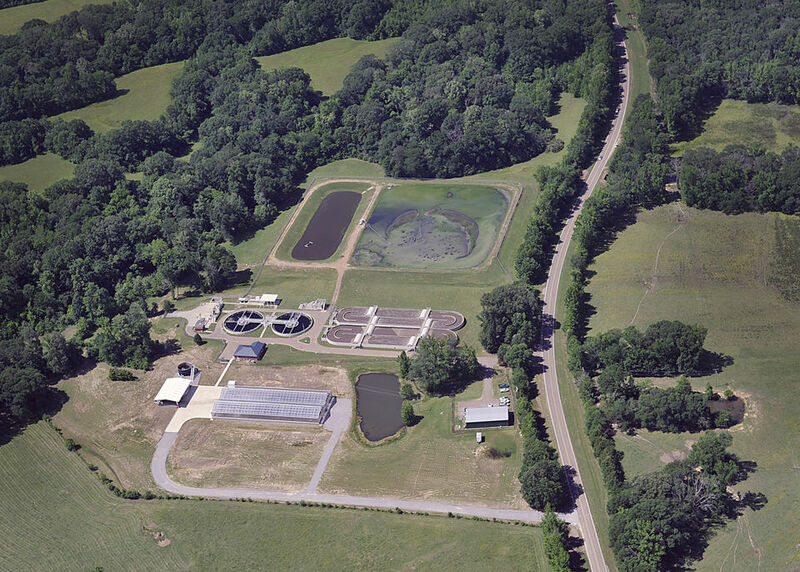 This aerial photo was shot from the open window of a high wing Cessna. 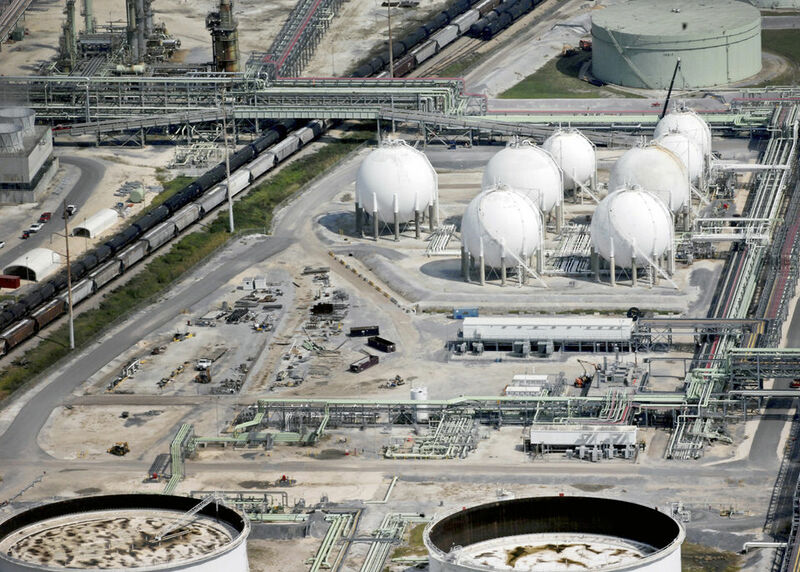 Before flying over an oil refinery, the refinery needs to be notified and approval, otherwise, you will get calls from Homeland Security. 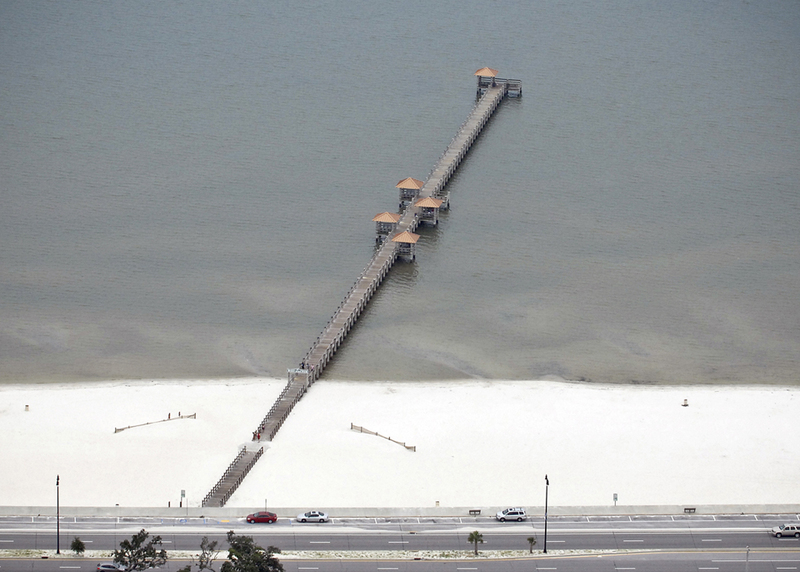 Aerial photography showing details of completed municipal pier. This was delivered with high resolution so more details could be viewed as the image was enlarged. Helicopter photography of a New Orleans festival in the Bywater area near the French Quarter. This is a photo taken from a helicopter. 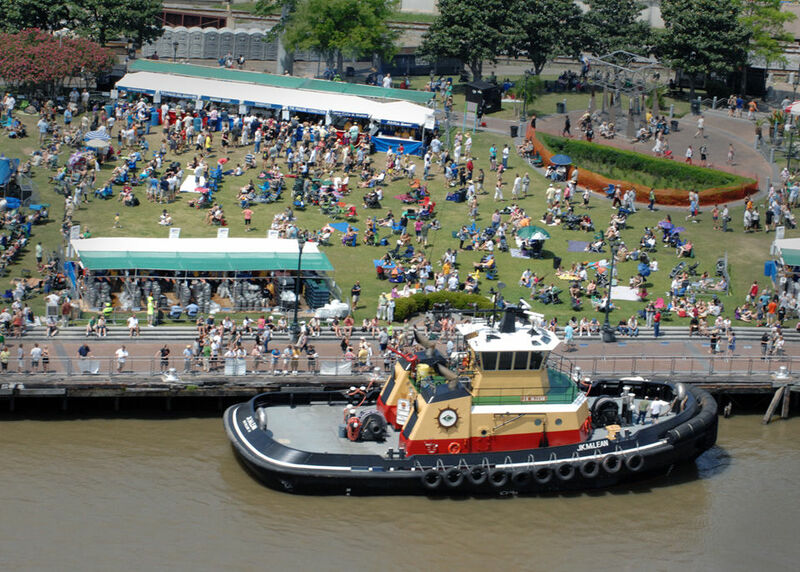 New Orleans French Quarter by the Riverwalk. 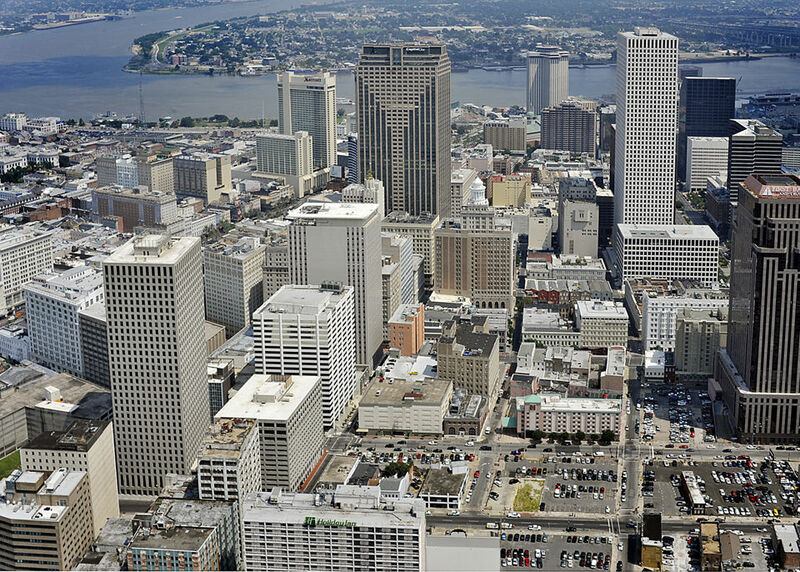 Aerial photo of Jackson Square in the French Quarter. This photo was taken from the open door of a 2-man helicopter. 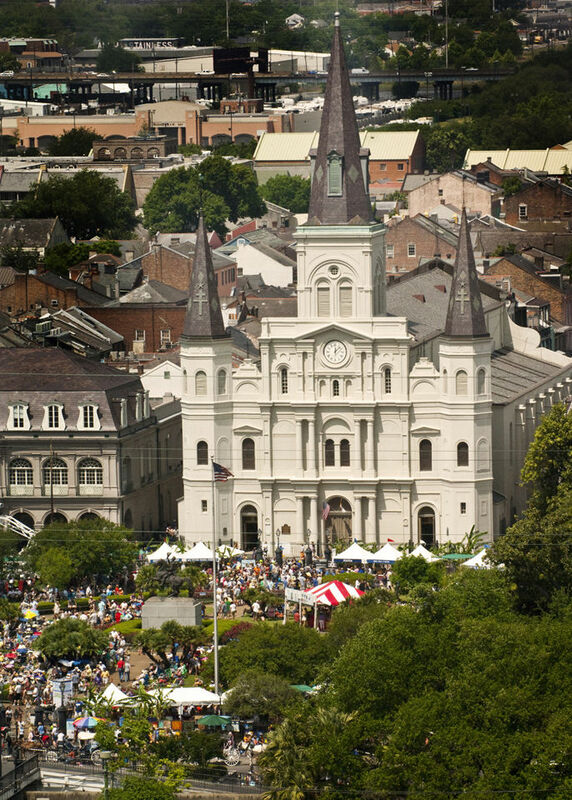 The building is St. Louis Cathedral. Typical aerial image taken from a diagonal out the open window of an airplane. 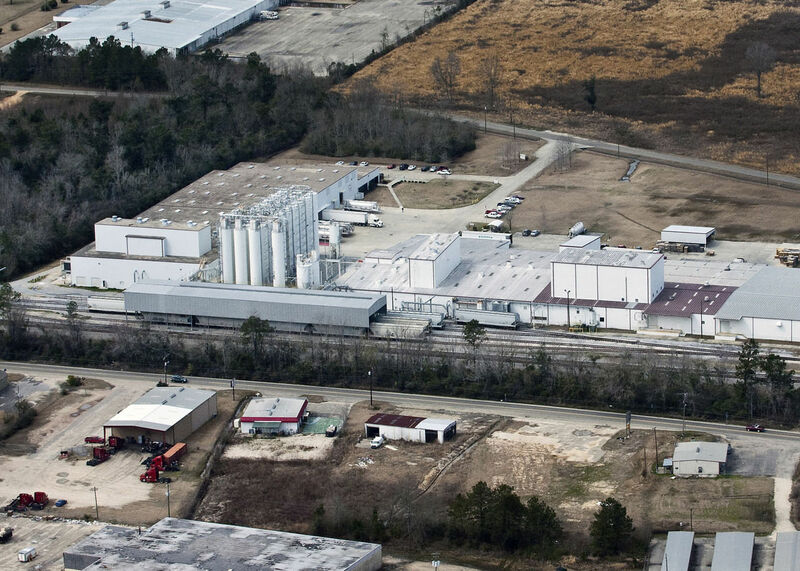 Air photo taken from the window of a high-wing Cessna over the Gulfport Industrial canal. The subject is a ship builder. 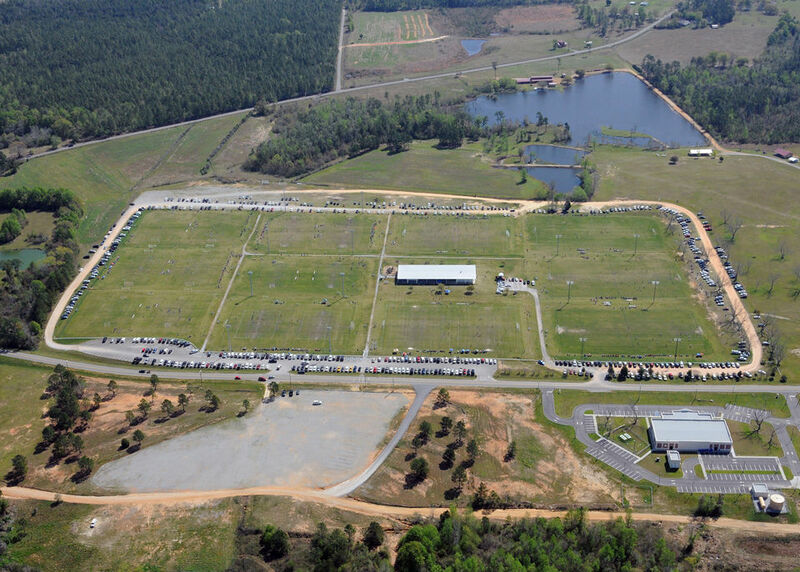 This is a vertical down aerial photo. It is shot at a 90 degree angle to the earth out the open window of an airplane. 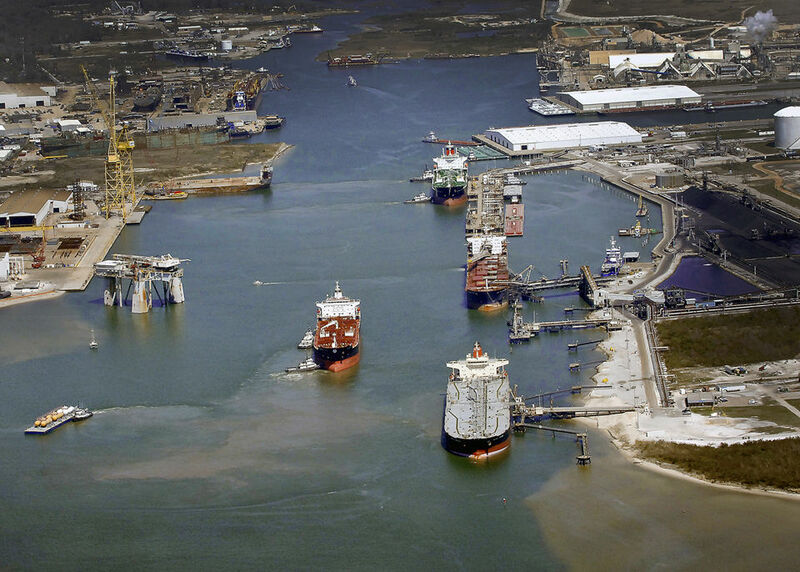 The subject is the Mississippi State Port at Gulfport. Altitude was approximately 10,000 feet above the ground, because subject area is about 1.5 miles square. 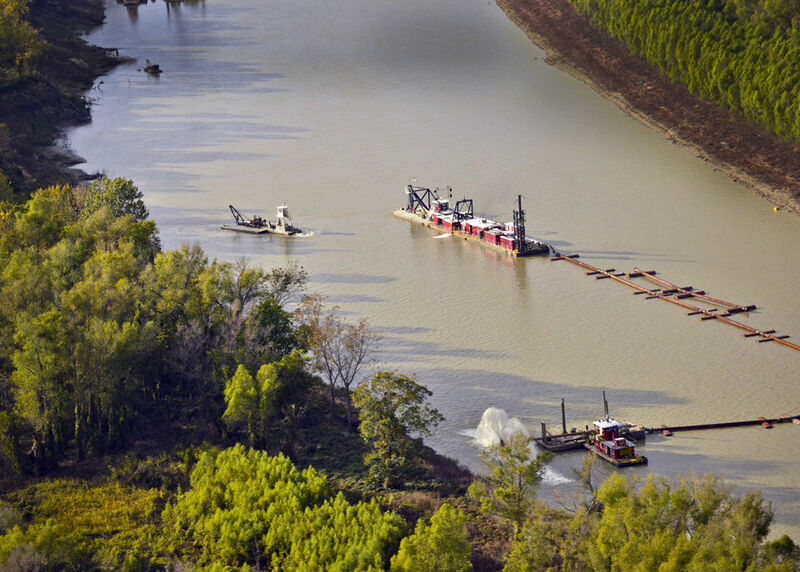 I regularly photograph these dredges working in the open wetlands of Southern Louisiana. Airplane or boat are the only means of transportation to get to these locations. In most cases, there are no nearby roads. 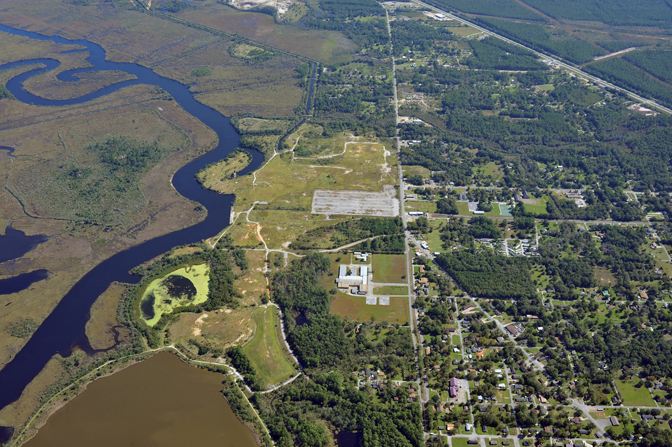 Most wetlands mitigation projects require aerial photography since there are no roads to the subject matter. And the projects are too large scale for drone flight which is limited to 400 feet above the ground. 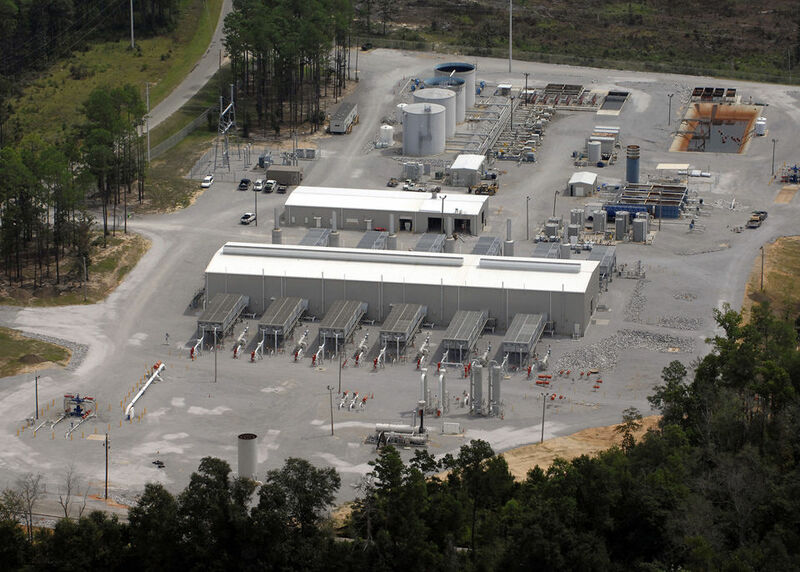 Photograph of a waste treatment plant from an airplane. 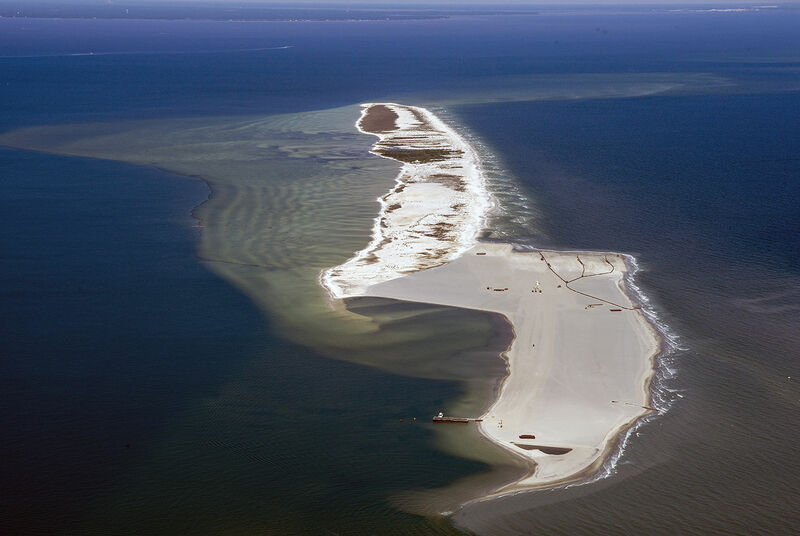 Restoration of offshore islands is underway in South Louisiana wetlands. The only way to document these large scale projects, located in remote locations, is via aircraft. I regularly fly the offshore islands to obtain current photo images. 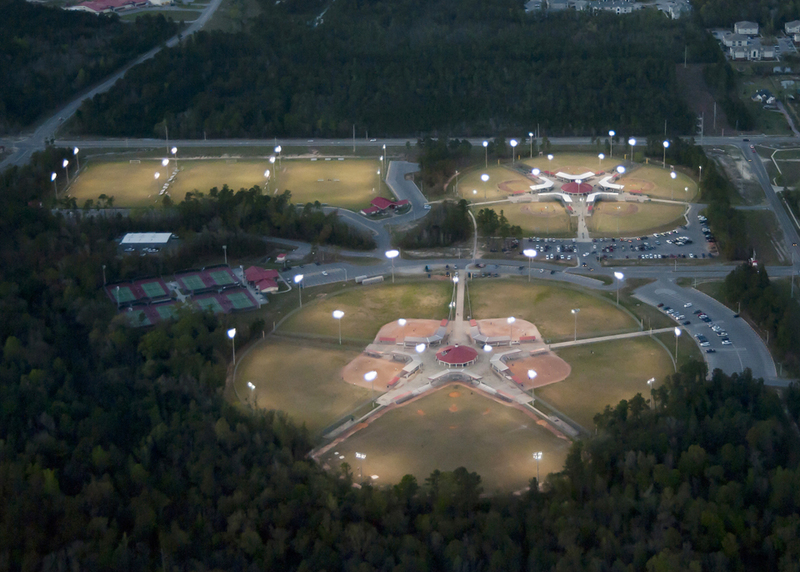 When the fields are lit, and dusk is setting, these Sportsplexes look pretty spectacular from the air! 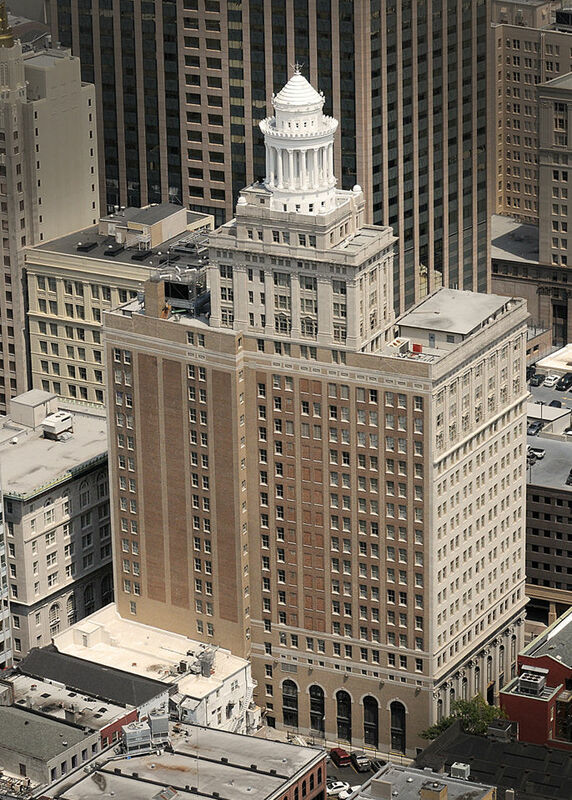 Aerial photo of commercial high rise, taken from a helicopter in downtown New Orleans. 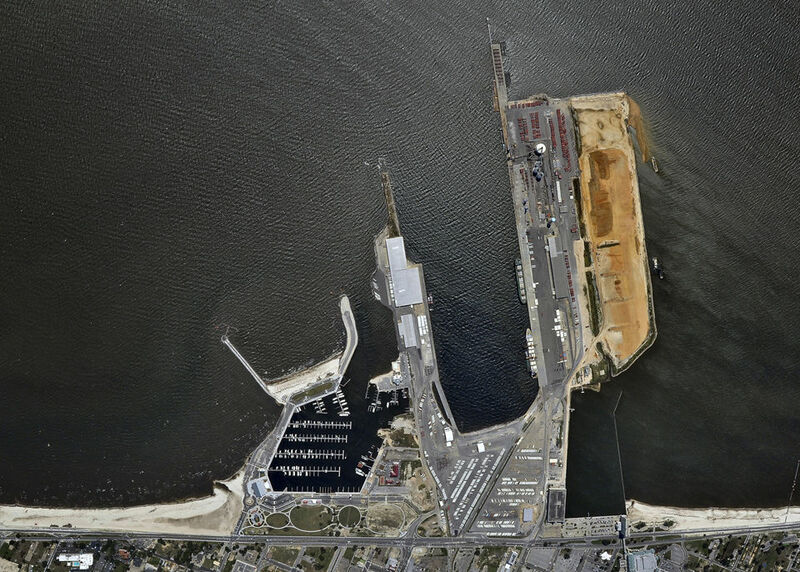 Aerial photo of the Port of Pascagoula. We took daytime photos of this property, and then were asked to come back and take photos when the lights were visible. 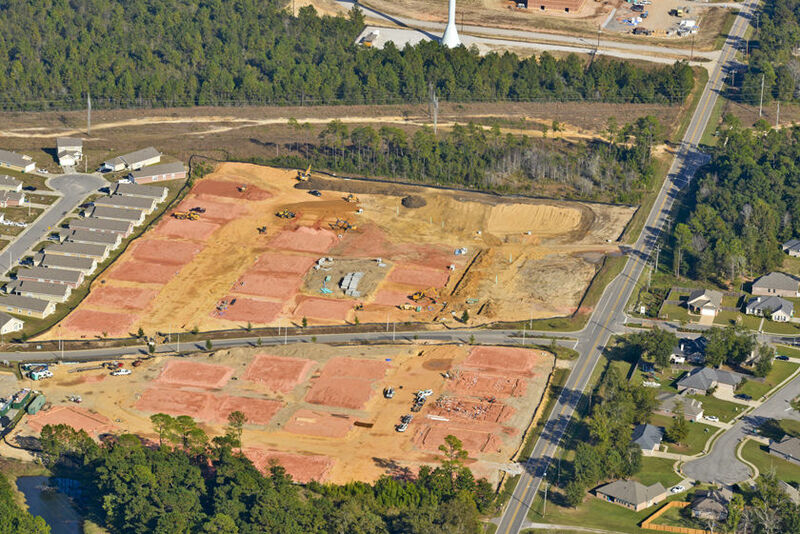 Ongoing weekly progress photos of a large residential real estate development. 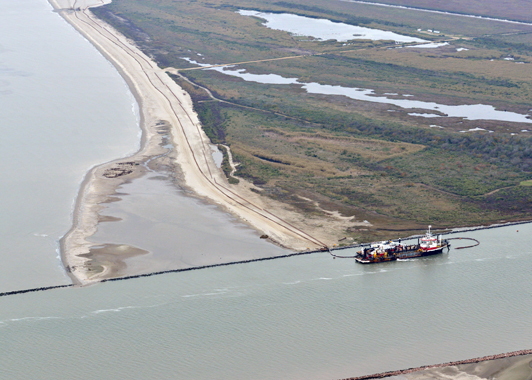 Aerial photo of the barrier islands of Coastal Louisiana are being rebuilt. 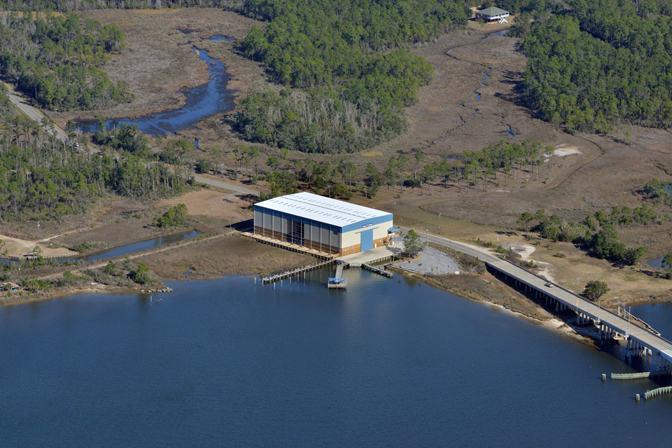 National Auction Group is auctioning off this marina in Pass Christian. 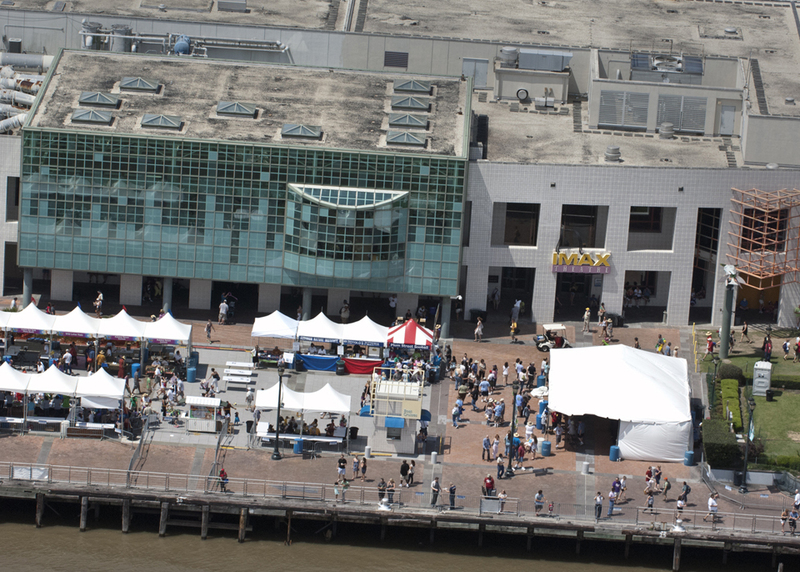 They hired us to take aerial photos for their marketing brochures. 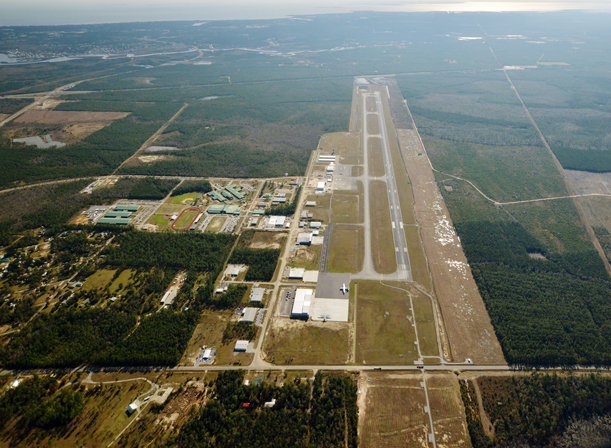 Aerial photo of the approach end of KHSA airport in Bay St. Louis. 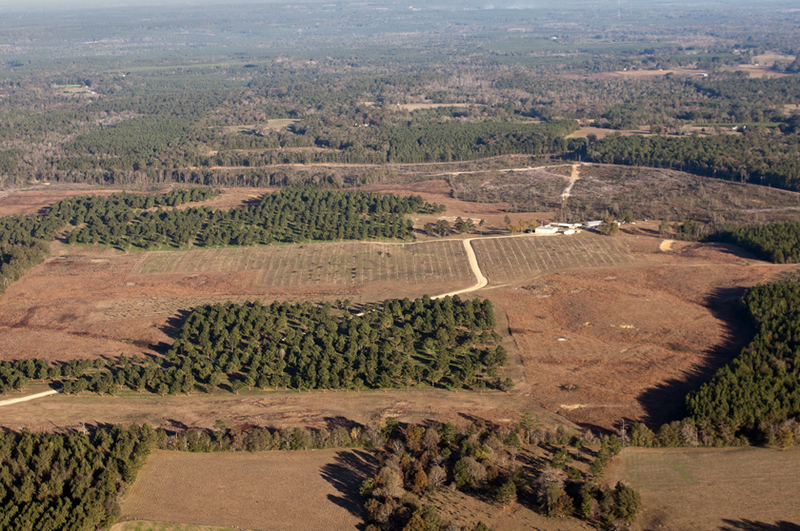 We were hired by a national nursery chain to photograph their Mississippi orchards from our Cessna 182. 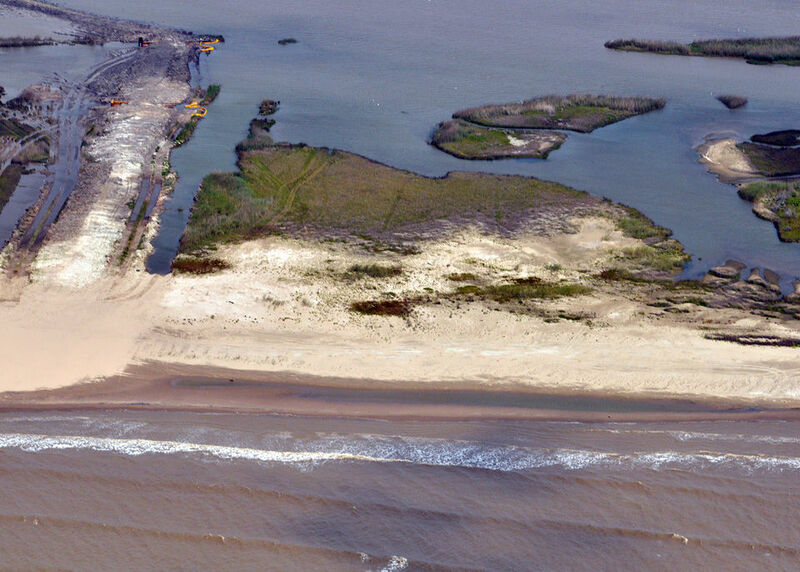 Aerial view of the West end of East Ship Island, as construction progresses on the Island Restoration project. Taken 4-30-18. 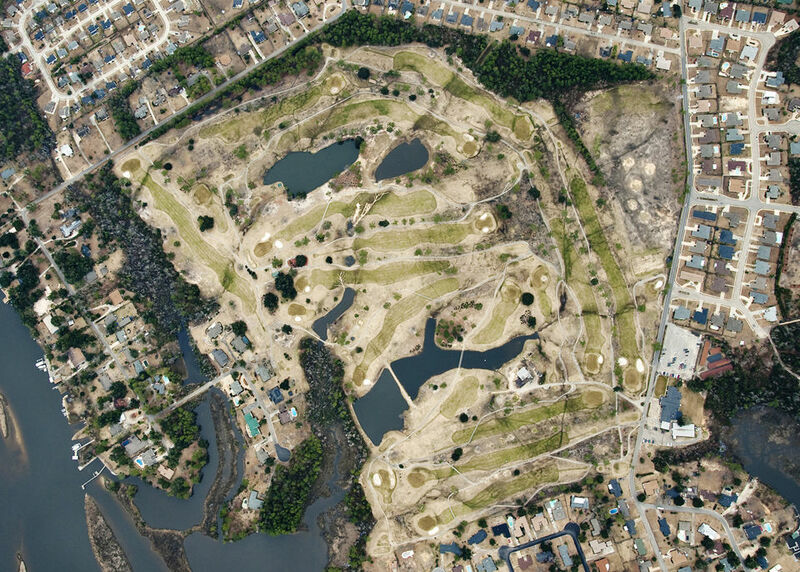 With over 18 years of experience taking aerial photos, and hundreds of satisfied customers, Susan masters all aspects of professional aerial photography. She is a commercially-rated pilot, as well as an aircraft owner and takes aviation as seriously as photography. 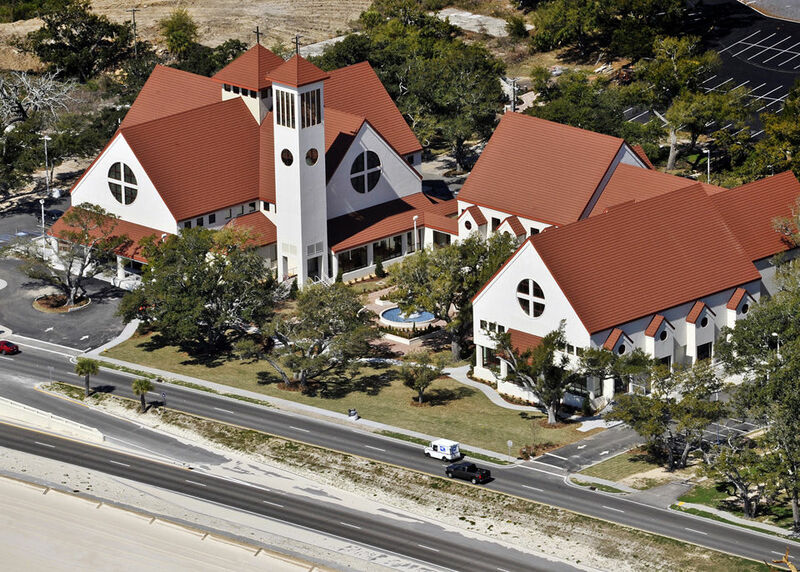 Quality aerial photography depends upon quality equipment to allow the highest resolutions possible, as well as a quality photographer who is familiar with the unique aspects of taking photos in varying atmospheric conditions. Susan prides herself in having the best equipment available (both camera and aviation) so she can deliver the most professional results. NOTE: I am a licensed drone pilot as well as airplane pilot. Unfortunately, most commercial aerial photography situations are best suited for airplane as the primary vehicle for the photography. This is due to federal FAA regulations which restrict the flight of drones by commercial operators - much more stringent that a drone owned/operated by a private individual for photography without any transfer of value in exchange for the photos. I would be happy to discuss the options with you if that is what you wish to consider.